do I get the bus No 4 going around 7-8 am from airport to Beach Road near st. Antony church? Hello, we need to know if there is a bus route that goes from negombo to nochchiyagama, or a route that stops near nochchiyagama, thank you very much. – is it best to go by train from Negombo to Puttalam then by bus to Wilpattu junction or to do the whole journey by bus? – where do we get the bus in Negombo (or Puttallam) and what times do they leave? – Will the driver drop us off at Wilpattu junction? 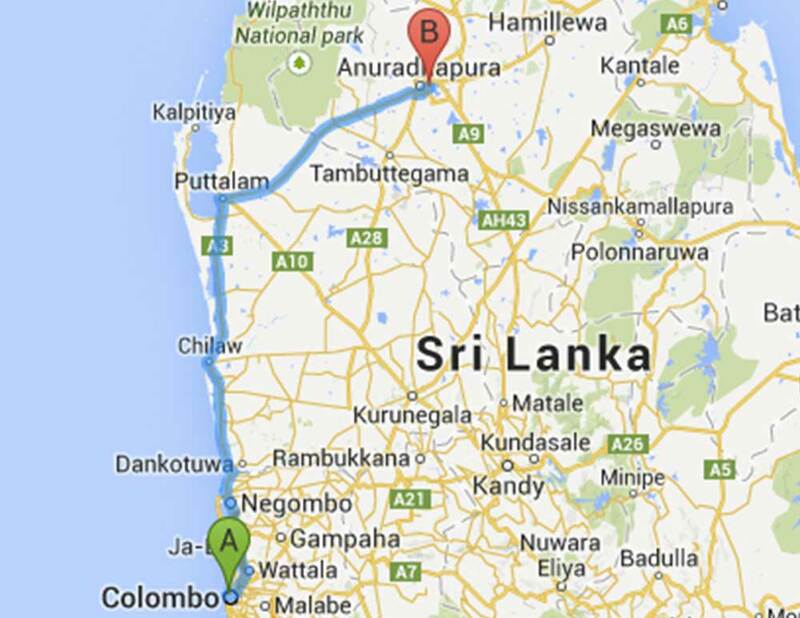 – Will the driver pick up at Wilpattu junction a few days later to continue to Anuradhapura? The trains tend to be a bit infrequent and prone to delays, I think a bus will be faster. Since willpattu Park is very well known, it’s likely they will stop for you, however, check with the conductor. What are the times it goes from anuhadapura to negombo? from Colombo airport to Dambulla at 1900 hrs. Is it OK? from colombo airports to Dambulla at 1900 hrs. Can I?